More of Rosie and other artists here. Rosie Camanga: His real name was Tino Camanga and he was born in the Philippines in 1910, though it's unknown where the nickname “Rosie” came from. A self-taught tattoo artist, Camanga lived in Honolulu and worked as a tattooist from the early 1930's-1991. 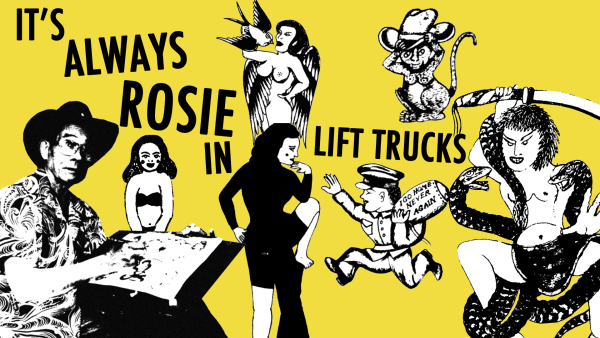 There is an interesting legend about how Rosie began tattooing. According to the legend, he walked into a tattoo parlor and said he wanted to learn to tattoo. The shop owner gave him the tattoo machine and said if he could tattoo himself, he’d get the job. Camanga sat down and gave himself his first and only tattoo. Last known sighting of him was in Hawaii.